Saul, a tiny village in Gloucestershire with a population of only 700, has become the surprise location for Jimmy McGill, the fictional “Breaking Bad” attorney’s new UK office. 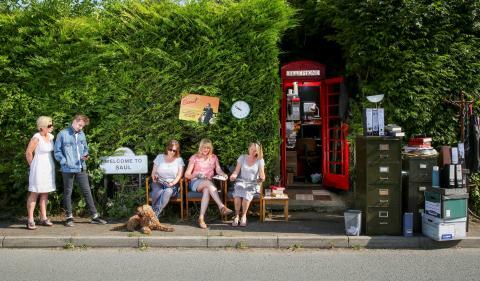 "I think it's kind of funny to think that someone has turned our local BT phone box into an office – the only other one here was turned into defibrillator a few years ago – so this didn't seem that crazy. In fact, there are only a few businesses in the area, so it is good to see more people setting up here," Crawford said. The UK network premiere of “Better Call Saul” will be exclusive to BT customers in the UK on the AMC channel – on BT TV channel 332. 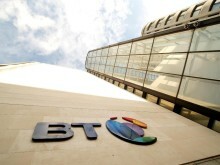 AMC is also available in HD on both BT TV and Sky with an HD subscription. The first episode will air at 9pm on Tuesday 27 June and is free to view for all at http://tv.bt.com. Joining Odenkirk are Jonathan Banks (“Breaking Bad,” “Wiseguy”) as Mike Erhmantraut, Michael McKean (“This is Spinal Tap”) as Chuck McGill, Rhea Seehorn (“Franklin & Bash,” “House of Lies”) as Kim Wexler, Patrick Fabian (“Big Love,” “Grey’s Anatomy”) as Howard Hamlin and Michael Mando (“Orphan Black,” “The Killing”) as Nacho Varga. From “Breaking Bad” creator Vince Gilligan and writer Peter Gould, “Better Call Saul” is executive produced by Gilligan, Gould, Mark Johnson (“Breaking Bad,” “Diner”, “Rain Man”) and Melissa Bernstein (“Breaking Bad,” “Rectify,” “Halt and Catch Fire”) with “Breaking Bad” alums Thomas Schnauz and Stewart A. Lyons as co-executive producers for Sony Pictures Television. Season one of the series contains 10 episodes.